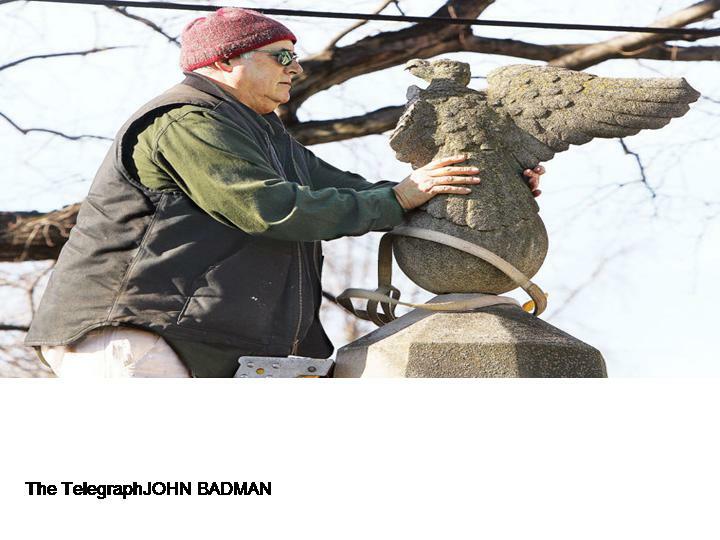 Artist Ned Giberson works to remove an original eagle from a fountain Wednesday at the Mississippi Valley Christian School on Seminary Street in Alton, which was the Western Military Academy grounds from 1879 to 1971. Giberson is going to create an exact replica of the eagle for a permanent memorial to be located on the former military school's grounds in a garden area near the front gate. Plans are to have the 12-foot-high interpretive obelisk in place for Memorial Day.